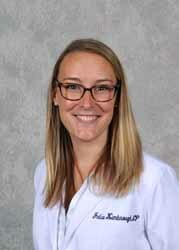 Julia Kimbrough, Certified Registered Nurse Practitioner, joined Maryland Primary Care Physicians, LLC in 2017. She holds a Bachelor of Science degree in Nursing from Salve Regina University. She received her Master of Science in Nursing degree from Simmons College in 2016.